Taylor’s & Co is proud to bring you a collection of the finest 1873 Single Action Models being manufactured today. Our Single Action models are manufactured using the highest quality standards available. Most of our revolvers feature frames that are forged resulting in better grain structure and improved strength. 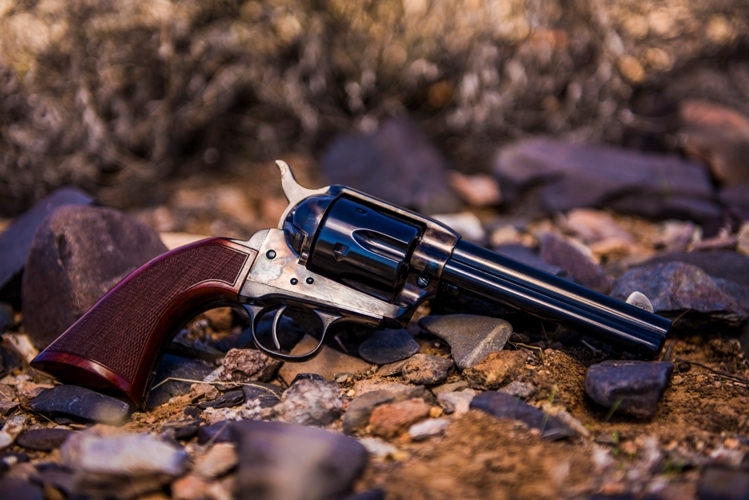 This allows our revolvers to perform better than others in harsh conditions such as competitive shooting. The Taylor's collection gives the shooter many custom options such as finishes, barrel lengths, calibers, grip sizes and materials. A Taylor Tuned Action is available on most single action models. Taylor Tuned actions are performed by our own in-house gunsmiths and feature: hand polishing, exact timing, and lighter hammer/trigger pull with our custom springs. Requires an FFL dealer to ship.